United Airlines has been aggressively expanding its Denver hub over the last few years. Despite operating 471 flights a day and carrying 42% of traffic, the international routes have been limited to a few flights in Canada, a few south of the border, and the daily Dreamliner to Tokyo. Starting on March 24th, United re-launched, after a hiatus of a few years, seasonal, daily service to London Heathrow on a 787-8 as UA 27 and UA 26. We were there for the inaugural flight and celebration for this exciting new route. This flight makes for three carriers serving London at once, with Denver’s biggest airline continuing expansion at the airport. In my previous article, I covered why Denver International Airport (DEN) is such an important strategic asset for United Airlines and how the significance and operations are growing by the year. One of the key ways that United is looking to expand is by opening up additional intercontinental routes to compliment the existing service to Tokyo Narita. To that end, a major destination in Europe like London provides a gateway to further connections on Star Alliance partners as well as a large market to directly feed from Denver and surrounding communities. Denver has traditionally been a secondary market for long-haul, intercontinental flights despite having physically one of the largest airports in the US. The heavy skew of domestic service goes back decades and only recently has the airport and city of Denver truly sought to add international destinations as the local economy has boomed. The London-Denver passenger market is large and well established. Market analysis conducted by Denver International Airport shows over 500 people per day traveling between Denver and London. This strong traffic shows the viability of direct flights between Denver and London, but is not the only consideration that an airline must make when evaluating a new route. British Airways has operated a daily nonstop flight into Denver (originally to Gatwick) since the 1998, originally on a 777 and now on a 747-400. Current schedules show their densest 747 configuration on the route with 345 seats. 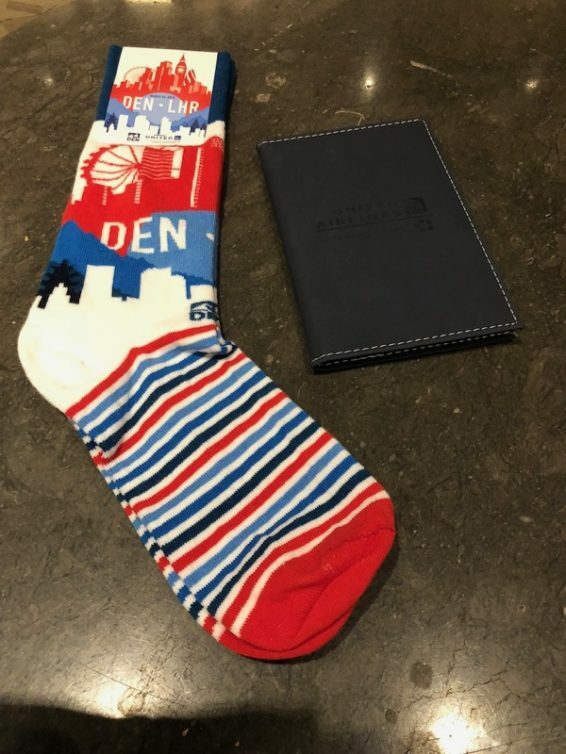 British Airways, by serving Denver, offers extensive, one-stop connecting opportunities to their enormous international network from Heathrow and has publicly praised the performance of the Denver market. Norwegian Air International has also recently started serving Denver from London Gatwick airport using their fleet of new 787-9 Dreamliners with 344 seats. This is not a daily service, and by nature of Norwegian’s long-haul, ultra-low-cost model, is serving primarily point-to-point leisure travelers venturing between Denver and London. Managing Editor Blaine recently reviewed their Denver service in Premium Economy and came away satisfied with the service at the value price point. 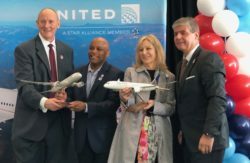 Likely unwilling to cede passengers to Norwegian at one of their biggest hubs, United is operating this route with daily frequency for the busy spring and summer travel months. Combined with BA’s daily 747-400 service and Norwegian’s thrice weekly 787-9 service to Gatwick, United will claim almost 31% of seats between Denver and London, with optimal routing for nearly 100% of the Mountain West feed to London via Denver. 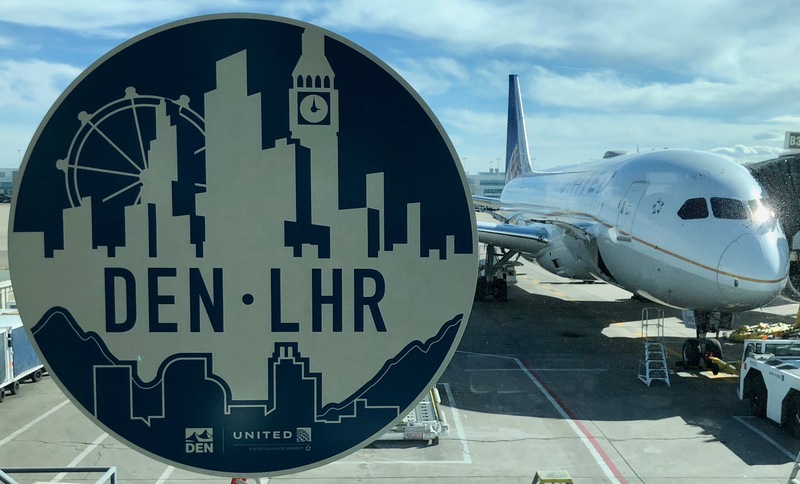 With strong competition and lots of capacity between Denver and London already, United has taken a measured approach to enter the market. The seasonal, daily service began on March 24th, 2018 and is currently scheduled through October 26th, 2018, but may expand into year-round service if demand is sufficient. To operate this route, United chose their 787-8 Dreamliner configured with 219 seats in a 2+ class layout: Polaris Business, Economy Plus, and Economy. The 787-8 is one of their smallest long-haul aircraft, with comparable seat count to the 767-300ER of which the Dreamliner was originally intended to replace. Adding the daily service between Denver and London Heathrow meant cutting service from another destination due to the tightly controlled and valuable arrival slots at Heathrow. Since United didn’t have any unused slots, Newark was reduced in frequency to London but was up-gauged to all wide-body service on the route, representing a net increase in seats for the New York-area airport. Choosing the 787-8 for this route was based on several factors. One was picking a “right-sized” aircraft. With a stable fleet of 12 aircraft and high utilization, this flight took advantage of additional deliveries of new 787-9 aircraft to United to up-gauge other routes that were previously served by 787-8 aircraft, thus freeing up an airframe for daily service. With a 10-hour block time in each direction, there is just enough time for a two-hour turn in both Denver and London for a single aircraft to operate this route in a 24-hour day. The fuel-efficient design of the 787-8 helps maintain margins and reduce risk of the new route by accelerating the timeline to profitability compared with other aircraft. Case in point, United has previously operated Denver to London Heathrow on a 777-200 from 2008 to 2011, but wasn’t able to close the business case at the time due to higher fuel prices, more seats to fill on a larger aircraft, and a less-fuel-efficient aircraft overall. As an AvGeek, you are probably thinking, “10-hour block time, that’s solidly within the capabilities of a 767-300ER,” of which United has many. And you’d be correct. At 214 seats for the two-class 767 version, it’s even more “right-sized” than the 787-8. In fact, United operates 767-300ERs to London from Houston at a similar distance and block time. But Denver makes the difference with existing 787 crews based in the area, a significant and growing 787 maintenance operation at the airport, and existing daily Dreamliner service to Tokyo (and domestic service to LAX and SFO). All of these points make the 787-8 the best aircraft for the route for United. 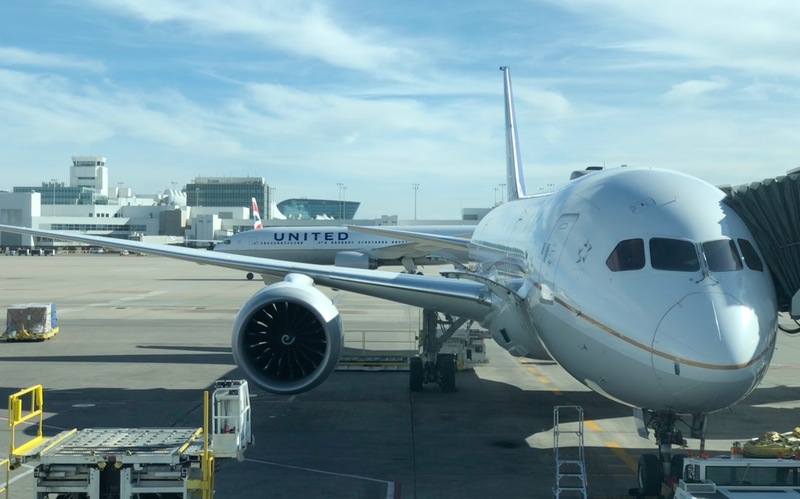 As a frequent traveler who is based out of Denver, I was especially pleased to hear that the operational advantages of the 787 at Denver will allow United to consider additional international destinations in the future using the aircraft. Customers fill the aircraft and pay for the service, so it is crucial to understand the market and where they are coming from. Denver is United’s hub in the Mountain West and has a very large catchment area, geographically speaking. When looking at a 500-mile radius around hubs, Denver and Houston have the smallest geographic overlap out of all others in United’s network. And especially in the west, Denver is unique in is ability to serve smaller airports and communities due to the combination of both proximity, and flying habits of the regional population, who travel to Denver more than other hubs in the United network. 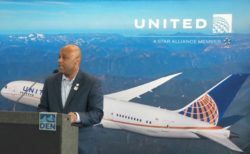 To maximize the opportunities that Denver’s location presents, United has added 11 new nonstop markets from Denver and has increased frequency to 37 markets. Denver is also unique in that it has 18 nonstop markets that are only served from Denver throughout the Mountain West and Central US. The addition of the daily nonstop flight to London is good news for individuals who are best served or nearest to United’s Denver hub. All together, Denver has now become the fastest and most convenient gateway to London for 49 cities in the US. 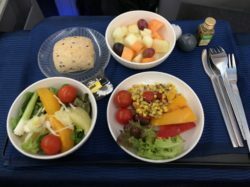 With this much feed, United hopes that they can drive sufficient demand to the route to make the most efficient use of slot and aircraft during the busy spring and summer travel months. 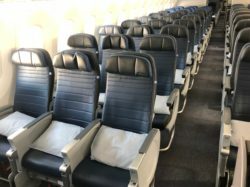 The team at AirlineReporter has been lucky enough to be up front in United’s cabins many times and for a full flight review, I’ll link you to a few great articles below. I’ll quickly cover the flight here, but check out these other articles for in-depth service coverage, especially if you’re looking at booking a flight soon. There were a couple of aspects that were unique to my trip that I want to mention. The first is the food. I generally try to eat plant-based, despite being a very heavy traveler. This poses some challenges when on the aircraft and all you can get is what is limited to what is served on board. But we got the chance to select the meal ahead of time through the United website, and specifically requested the Vegan meal option. 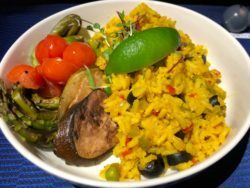 I was very pleased with the quality of the food on the outbound flight to London and enjoyed my meals. I’d definitely recommend this to someone who is looking to eat lighter onboard or is more conscious of their diet. United is continuously working to revise their Polaris business offering and the strategy has seen some shifts over the last few years. Compared to the other legacy US carriers American and Delta, United Polaris on certain aircraft isn’t as flashy on the surface. 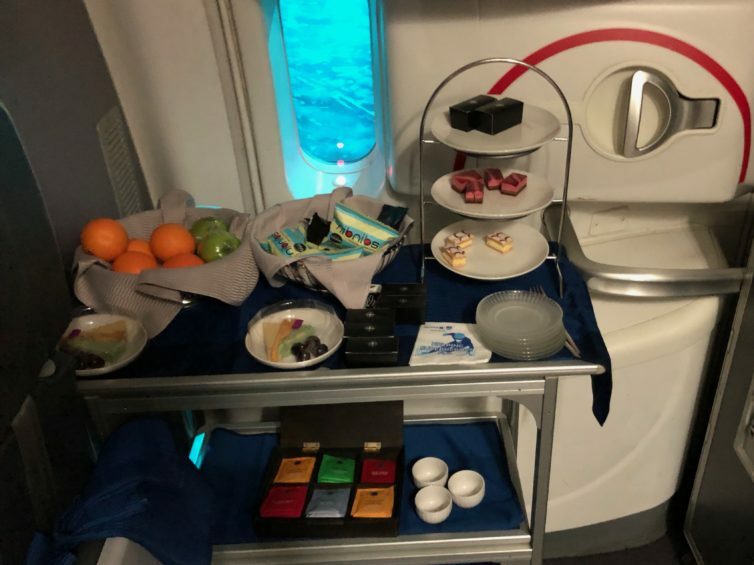 With 2-2-2 seating on the 787, United has wider business class seats than some big name international carriers, but all seats don’t have direct aisle access like Delta One and American Flagship Business, so be prepared to jump over a seat mate. When flying solo, a middle, aisle seat prevents anyone from having to jump over you in the middle of the night. Polaris lounges are also springing up all over the country and opening at most of United’s US hubs. Unfortunately for Denver, with only two United-operated intercontinental flights per day during the summer months, there isn’t enough demand to justify the lounge, so the split United Club at the top of Terminal B are the only option for airport relaxation. 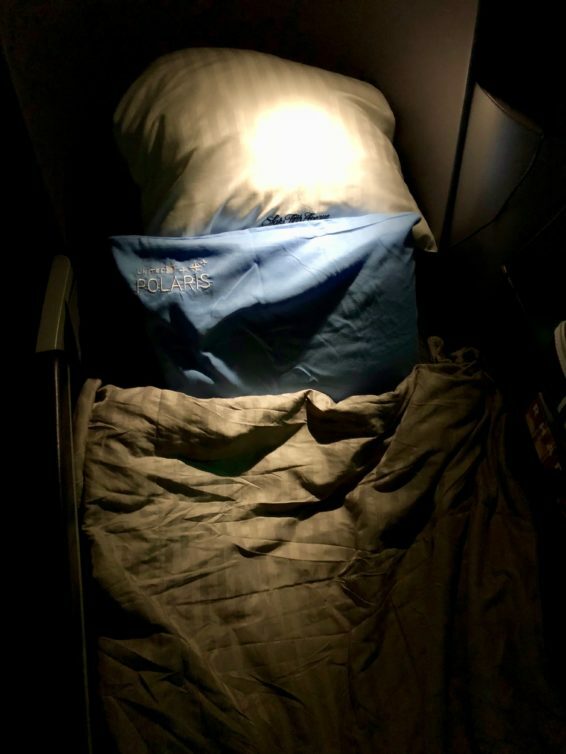 We fly to Singapore to see how 17 hours feels like. A first look at a 777-300ER with the New Polaris cabin. One last ride in Polaris First on the 747. Denver is a rapidly growing economic center and the massive airport it hosts is, to a large extent, responsible for making that happen. United’s direct service to London is currently only seasonal, but with the direction that business is heading, it is only a matter of time until it serves as a vibrant international gateway to the American West. 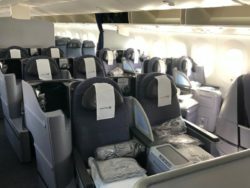 United’s daily, nonstop service to London has come at a time when competition between the three airlines serving this route – British Airways, Norwegian, and United – is fierce. With the advantages of a major hub structure feeding the flight and low trip costs with the 787, United is well poised to succeed in this market if the passenger demand is there. As a Denver-based business traveler, I’m excited to see the future opportunities that will come as the airport expands and new routes are announced. Have thoughts about long and thin routes like this or have you had a chance to take this flight? Let us know in the comments below! Disclaimer: I paid for a economy class ticket as well as redeemed a Mileage Plus upgrade with co-pay for this flight. Consideration was provided by United Airlines to ensure that my upgrade cleared on this VIP-heavy flight. The opinions and analysis provided are my own. 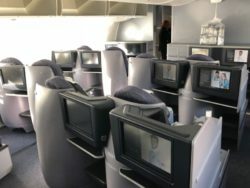 The post Trip Report: United’s Inaugural Flight from Denver to London appeared first on AirlineReporter.